Do you have a plumbing problem, but you are not sure who to hire? Should you go for a recognized name or somebody local? How about a company that is both? 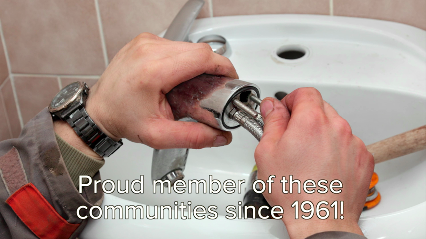 Jarosz Plumbing & Roto-Reamer Service, Inc. has been in Palm Coast and the Flagler County area since 1961. We offer specialized experience with fast response and excellent service. Our qualified professionals work hard to ensure that you receive excellent service in a timely manner. Customer satisfaction is our driving goal. We consistently deliver quality services that will exceed your expectations. We are sure that we will continue to deliver satisfaction for years to come. Give us a call today! No job is too big or too small.